Simple, reliable, and sparkling, this yellow gold nose screw is the perfect everyday accessory. Made of 14kt yellow gold, this 20g nostril jewelry features a 2.5mm prong-set cubic zirconia jewel; it lays flat on the nose for a subtle “wink.” It has a wearable length of approximately 6mm and a right bend. 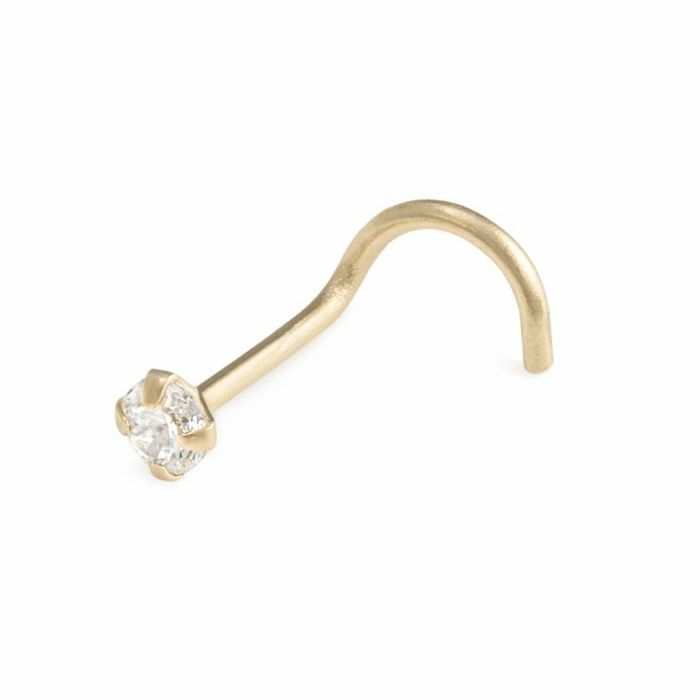 The Yellow Gold Crystal Jewel Nose Screw is priced per one.